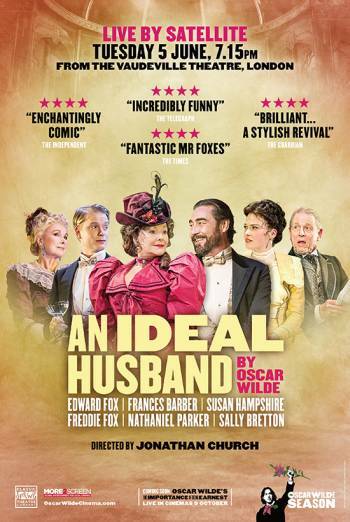 A new production of the Rolls-Royce of English comedies, Oscar Wilde's An Ideal Husband, will be broadcast live to cinemas from the Vaudeville Theatre in London's West End. This entertaining and still topical play brings an act of political sin into the heart of the English home. As an ambitious government minister, Sir Robert Chiltern's smooth ascent to the top seems assured until Mrs Cheveley appears in London with damning proof of his previous financial chicanery. This is the third play from the Oscar Wilde Season, a year-long celebration of the brilliant Victorian playwright being staged by the Classic Spring Theatre Company.